Life Members are elected by the National Board from time to time. 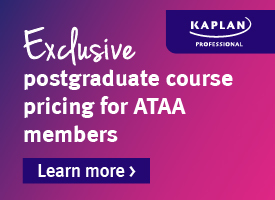 The Board, on behalf of the association, seeks to recognise an individual ATAA member who has given substantial service to the Association and the Association's members. Louis was awarded an ATAA Life Membership for his service as a Director and work as Treasurer/Secretary from May 2008 to Dec 2013. Louis holds degrees in law and accounting and practised as a chartered accountant and insolvency practitioner. Now retired from the profession, Louis concentrates on assisting small businesses with their problems. Paul has been the Melbourne Chapter President continuously since March 1999. During this long period, he has undertaken the tasks required of a Chapter President to underpin a large and successful Chapter. In that time, the Chapter has had three different venues and the "after meeting dinner" has had many more locations. Paul commenced trading and investing in the 1980s. While learning his craft, he attended many ASX and SFE lectures along with third party courses; during this time he met Neil Costa and was introduced to the ATAA. In due course he became a Financial Planner and following this, a Futures Broker with P G Mahoney and Associates. Jeff joined the ATAA in Perth and was elected President of the Perth Chapter very quickly. Over the years, he has been very active in the ATAA in the roles of Perth Chapter President from 1995 until 2006 and ATAA Board member from 2003 to 2013. During his time on the Board, he has filled the roles of Treasurer/Secretary, Vice President and Conference Convenor from 2005 to 2011. 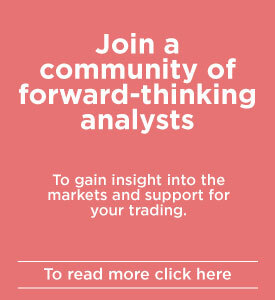 Jeff has used Technical Analysis for personal trading and in his family's SMSF for many years. Charles served as ATAA National President from 2004 to 2009 and has been the South Australian ATAA Chapter President since 1996. From 1996 to 2007, he delivered lectures on technical analysis for the ATAA Diploma course conducted by SIA and FINSIA in South Australia. In 2003, he was presented with the FINSIA Lecturer of the Year award (SA). No data collected as yet. Larry Lovrencic is a trader, a teacher, an author, an international speaker and has appeared several times on television as a guest on the Your Money, Your Call program on the Sky News Business Channel. He was a Technical Analyst for the ForexTrading.TV online FX news channel, which was based in London. Larry is a founding member, a member of the Management Committee and a Vice President of the Australian Professional Technical Analysts (Inc) ( www.apta.org.au ). He is a Life Member, a former member of the Board of Directors and a former National Vice President of the Australian Technical Analysts Association (ATAA). A legal practitioner with 26 years of experience in private commercial practice, Anthony served on public company boards and as chairman of an audit committee. He is a keen supporter of CanTeen having learnt of its activities from his friendship with the former Company Secretary. He has been a supporter ever since. 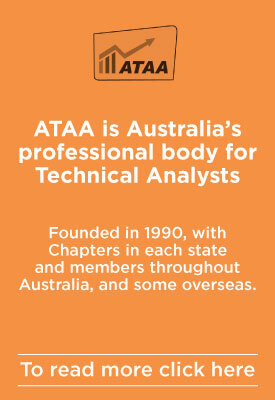 When Tony first joined the ATAA committee, it was a state-based organisation incorporated under state legislation. He was active in converting it into a public company limited by guarantee and was one of the directors of this new company. That was the beginning of its transformation into a national organisation. He was a long-standing Director and later Vice President of the ATAA. Colin Nicholson's ATAA Life Membership awarded was awarded in October 2000 for service as an ATAA Director, including his work in creating and teaching the two ATAA Diploma courses with the SIA, FINSIA and Kaplan. He served as NSW State President, Sydney Chapter President and Councillor from 2003 to 2010. Colin holds a degree in Economics, a graduate diploma in Applied Finance and Investment and is a Senior Fellow of FINSIA.